The June 2014 contest (#40) is the second tree sculpting contest, our first was contest 10. Again, much lateral liberty on what you make. 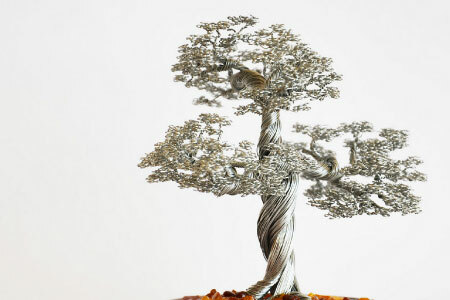 Of all possible sculptures that could be considered a tree, most of them are going to be fictional, rather than modeled after an actual tree. Even if you’re the only one that can identify it as a tree, that’s ok.
Use up to a total of 1728 magnet spheres of any brand, to hand grow your tree. Keep the background clean and simple, to minimally distract from your actual tree. Any brand of magnet sphere is acceptable, including neoballs. As usual, the judges will be your peers. Pay attention to resolution, focus, lighting and framing. Use not your bright reflective flash, but instead of a self timer and a tripod (or stand.) Sharp, high resolution pictures are preferred, and remember that your thumbnail will be hexagon shaped crop when shown among others. There will be at least FIVE winners, possibly more depending on participation. The prize for first place in this contest will be $65 Zen Credits, usable on zenmagnets.com or neoballs.com. All Zen Credits are also exchangeable for half their value in Bitcoin. Everything you submit goes into the public domain. Of course, the first and foremost requirement, is that you have fun! Submission deadline is the end of June.